How much is Kim Jeong-Hoon Worth? Kim Jeong-Hoon net worth: Kim Jeong-Hoon is a South Korean singer and actor who has a net worth of $10 million. Kim Jeong-Hoon was born in Jinju, South Korea in January 1980. He was a member of the duo UN. With the duo UN he released the albums United 'n' – Generation in 2000, Traveling You in 2001, Extreme Happiness in 2002, Sweet & Strong in 2003, Reunion in 2004, Seventy Five Centimeter in 2005, and Good bye & Best in 2006. 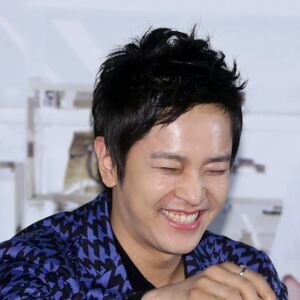 As an actor Kim Jeong-Hoon has starred in several television dramas including Orange, Princess Hours, Fog Street, Angel, Witch Yoo Hee, Love Strategy, I Need Romance, Dummy Mommy, Love in Her Bag, Missing Korea, Late Night Restaurant, Immutable Law of First Love, God of War, Zhao Yun, and Start Again. Kim Jeong-Hoon has also starred in the films DMZ, Shut Up!, Café Seoul, Sunday Punch, Stray Dogs, Emperor's Holiday, and Pacific Rim: Uprising.